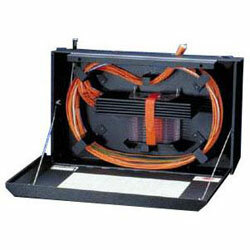 LANscape wall-mount splice housing that will accept eleven 0.4-inch splice trays. 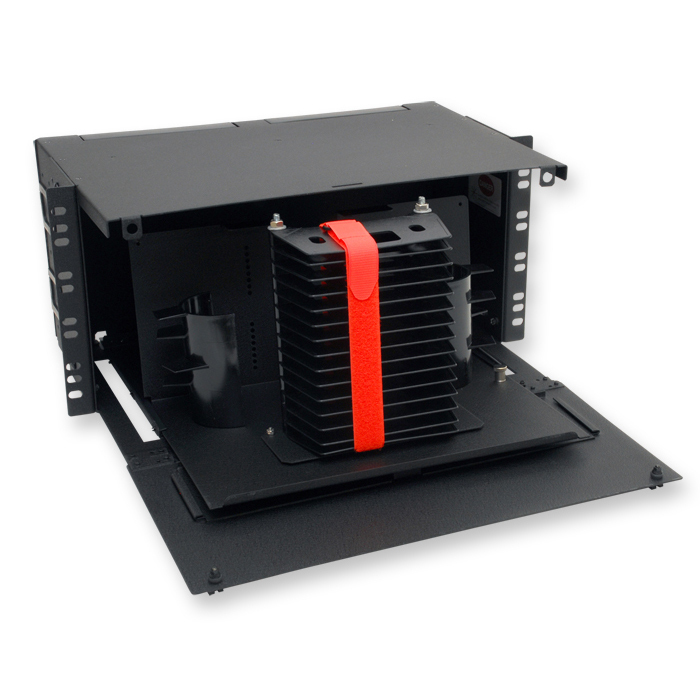 The wall-mountable splice housing (WSH) is a wallmountable housing designed to store spliced optical fibers and accommodates up to 16 splice trays. The front door of this housing doubles as a work surface that can support the weight of a fusion splicer. Multiple cable entry/exit locations are provided on the top and bottom, and all are grommeted to prevent dust from entering the housing. 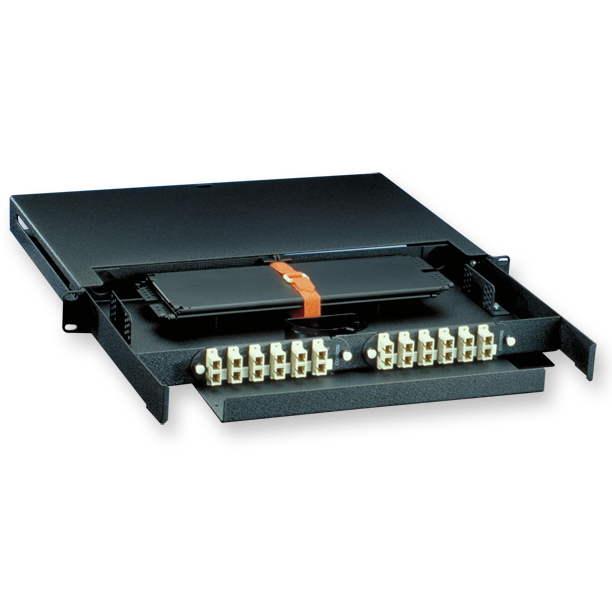 Slightly smaller than the WSH, the wall-mountable splice center (WSC) also provides storage and protection of fiber-optic splices, supporting up to eight splice trays and including an optional dust seal.